My Memphis Mommy: Aldi's Weekly Deals September 17th-23rd! Aldi's Weekly Deals September 17th-23rd! 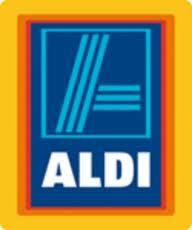 You can find some great produce prices at ALDI's here are my faves this week! MEAT SPECIAL OF THE DAY THIS PRICE IS GOOD ON Wednesday, September 17th ONLY: Fresh USDA Choice Sirloin Tip Roast $3.99/lb. or Fresh Chicken Breasts $1.99/lb. Click here to read this from their site. Aldi has a double guarantee if you do not have 100% satisfaction if for any reason, you are not 100% satisfied with any product they will replace the product and REFUND your money. Does not apply to non-food Special buy items or alcohol.